Ready to take your tying skills to the next level? 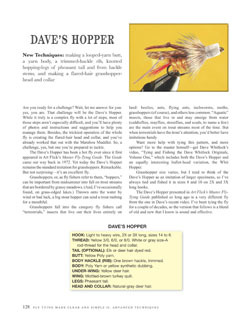 Then Skip's new book, Fly Tying Made Clear and Simple 2 Advanced Techniques, will take you there. This much-anticipated follow-up edition to the original best-selling book, Fly Tying Made Clear and Simple, is now available. This is a book of advanced techniques and fascinating fly designs, and it takes off right where the original ends. Fly Tying Made Clear and Simple 2 Advanced Techniques includes the ultra-popular Copper John and Stimulator, a realistic nymph called the Anatomical Green Drake, the trusted and now standard Quigley Cripple, and many more. list of the new tying techniques you'll learn in the process of learning to tie yet another great fly. 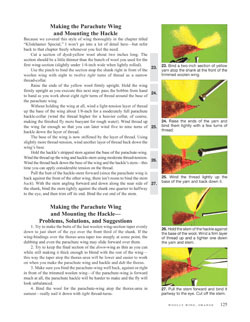 And, as with the original book, each chapter teaches you a new fly and new tying techniques that prepare you to work on through the entire book. 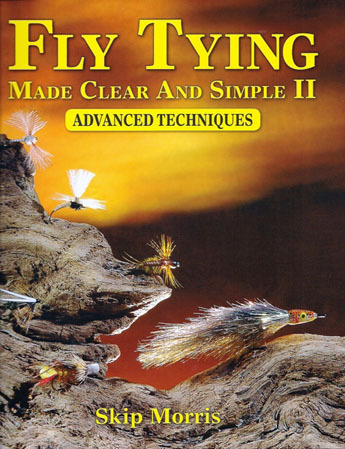 Fly Tying Made Clear and Simple 2 Advanced Techniques follows the proven structure of the original book, with "Problems, Solutions, and Suggestions" sections to help you work through any difficulties you encounter with a tying step, color illustrations where illustrations are best, and lots of tying photos and captions for each fly to make the tying as clear as possible. The final section contains forty-four additional flies specifically chosen both to suit your new tying skills and because they're simply excellent flies that catch fish. 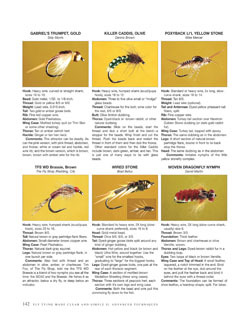 Top left: each fly pattern begins with information on fishing and tying the fly and even a little on its design and history. The fly's dressing appears on this page, along with a list of new tying techniques. Top right: there's no skimping on photos and tying captions—up to fifty-seven for a single fly. Detailed instructions and invaluable "Problems, Solutions, and Suggestions" sections for improving the fly are in the main copy. Numbered bars link the main text to the captions and photos. Top left: color illustrations work in conjunction with the photos and instructions to make everything clear and simple. 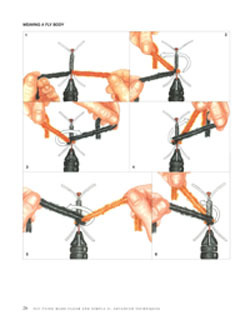 Top right: the final section presents a large collection of additional fly designs you now know how to tie. step-by-step instruction on eighteen popular flies—truly advanced tying techniques, the big leagues!